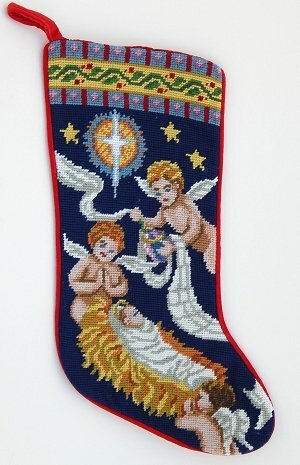 Please Note- All of the stockings are finished stockings already made for you. 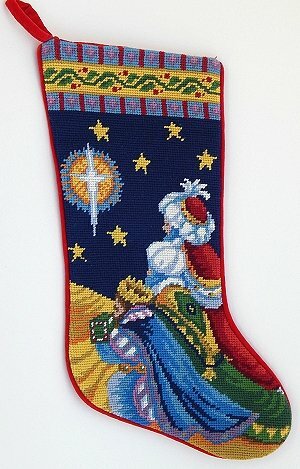 In other words, the stocking are not kits. Monograming service to embroider a name on the stockings is not available. 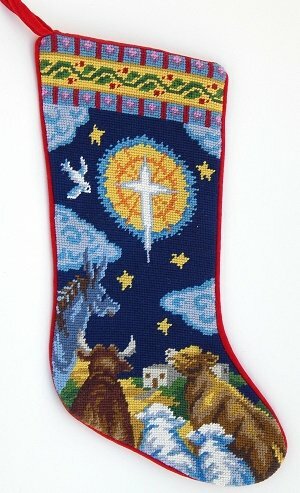 A beautiful needlepoint design by Artist Susan Brack of the Wisemen traveling to the manger. They gaze upon the star that shines over Bethlehem. This stocking is part of a series that Susan did for us around the nativity theme.